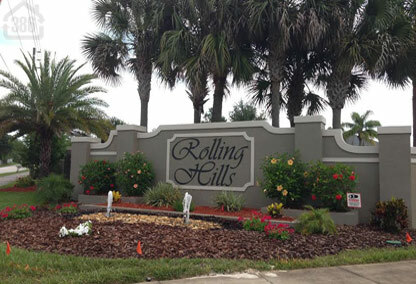 Rolling Hills Estates is the premier luxury home community in Port Orange. These extravagant homes were built by Paytas Homes and are truly one-of-a-kind. Lavish amenities such as RV garages, posh pools with waterfalls and roomy cabanas, and floorplans approaching 10,000 square feet are commonplace in a neighborhood that is anything but common. These luxury homes are nestled on lushly-landscaped acre lots, providing plenty of room and privacy for you and your family to relax and enjoy life. Plus this neighborhood is situated in a premier Port Orange location with award-winning schools within walking distance and a wealth of fine dining and shopping options at your immediate convenience. In fact, Rolling Hills Estates is such a beautiful and desirable family neighborhood that Kevin Kling and his family have chosen to call Rolling Hills home. Call us today at (386) 527-8577 and let Kevin assist you in buying or selling a Rolling Hills home.